Medical apps have been one of the most lucrative categories in the iTunes Store, so it’s no surprise to find high quality cross-over development and top tier pricing within this category of the Android Market. These tools span from generally useful first aid guides to highly specific medical sub-specialty references for practitioners. Any of the following apps might be found in the bottom of a modern doctor’s black bag. Epocrates is a stalwart of mobile medical advice. The company claims that more than 1 million healthcare professionals rely on Epocrates’ clinical tools to make decisions at the point of care. They have offered mobile apps for iOS, Palm, Blackberry and Windows Mobile, and an Android native Epocrates Rx is in beta. It still lacks a number of features found on other platforms. What you will find is access to drug monographs, health plan formularies, a drug interaction checker, and medical news. As Epocrates for Android matures, we should see a more full suite of tools. 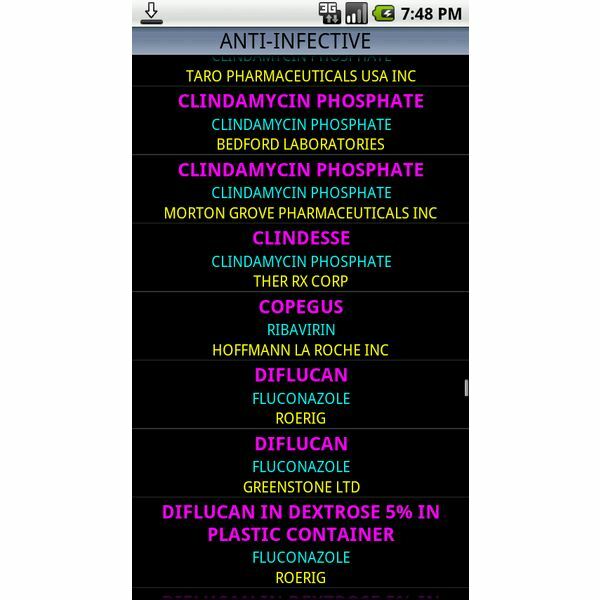 Epocrates RX for Android is Free, and it can be downloaded from the Epocrates, Inc. website. Epocrates is a tool limited to medical professionals. iPharmacy has no such limitations, which is why it has been one of the best selling medicine apps on the iTunes Store for over a year. It’s also now available for Android. You will find over 7,000 commonly prescribed drug products with classifications, including information direct from the FDA. 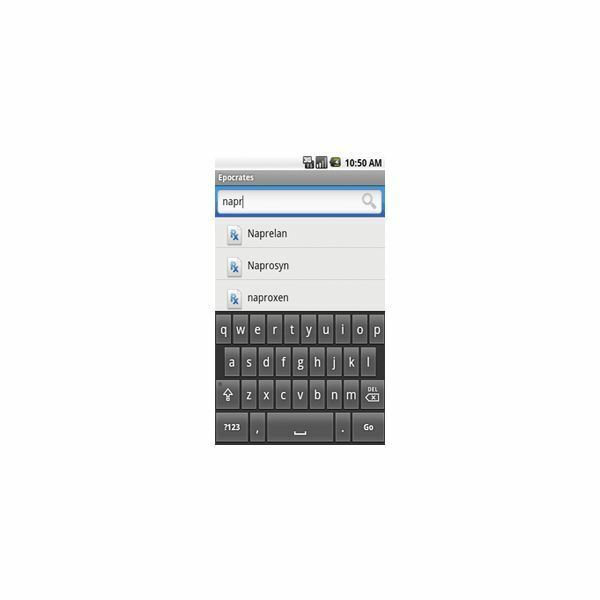 iPharmacy is searchable by trade name or ingredient. The one thing it lacks as a desk reference is a visual guide. iPharmacy is available for $0.99, and it can be downloaded through the SigmaPhone website. A guide to first aid should come installed on every smartphone. That’s how useful this information can be, especially when needed most. 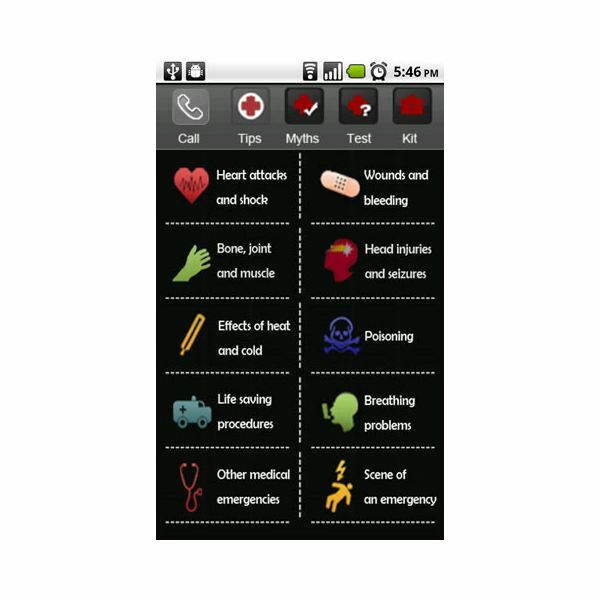 Health Team’s First Aid for Android is the highest rated of available options. This app is designed to allow you to triage a situation in progress with illustrated tips, and it even offers links to video tutorials for common situations. In addition, you can test your knowledge and explore a number of first aid myths. The interface is fairly simple to navigate, and well-designed, outside of a few spelling errors. First Aid is Free, and it can be found in the Android Market or downloaded through AppBrain. 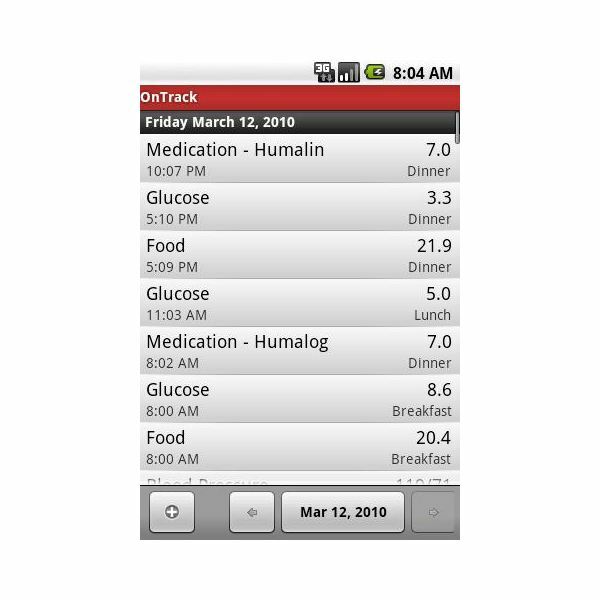 OnTrack is designed to provide diabetics a tool to better manage their diabetes. It tracks healthcare items particularly important to diabetics, such as glucose, exercise, food, medication, blood pressure, pulse and weight. The app can generate graphs and reports, and data can be backed up or exported to CSV, HTML, and XML. OnTrack Diabetes is Free, and it can be found at the developer GExperts’ website. Unbound Medicine is one of the premiere developers of products for physicians, nurses, students, and clinicians to access medical information from their mobile devices. Their products have long been available for iOS, BlackBerry, Windows Mobile, and Palm, and are now available for Android. To browse the full suite of their products, check the Unbound Medicine store. Listed are 3 of their best-sellers. Davis’s Drug Guide includes current drug monographs for thousands of trade and generic drugs. It provides answers to questions concerning dosage, administration, patient safety and education. It sells for $49.95 and can be purchased from the Unbound Medicine store. Taber’s Medical Dictionary (pictured) defines over 60,000 entries, with 1,000 illustrations, and contains 30,000 audio pronunciations. It also sells for $49.95 and can be purchased from the Unbound Medicine store. 5-Minute Clinical Consult is a tool for medical professionals to assist with diagnosis, treatment, and follow up for over 900 common medical conditions. It sells for $79.95 and can be found on the Unbound Medicine store. Medical practitioners have complex and unique formulas to calculate. 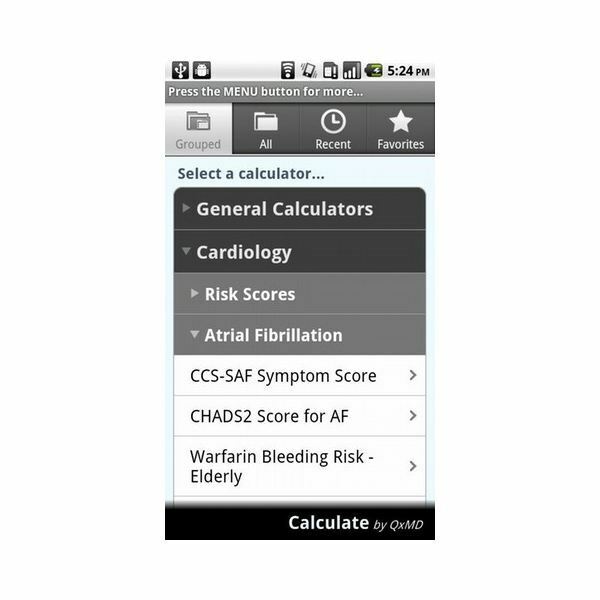 Two of the best Android medical calculators are listed. Calculate by QxMD offers calculators for many branches of medicine. It is focused on tools used in clinical practice to serve diagnosis, treatment, and prognosis. Calculate includes standard guides like Framingham & Reynolds risk scores, and CHADS2 scores. Calculate by QxMD is Free, and it can be downloaded from the QxMD website. 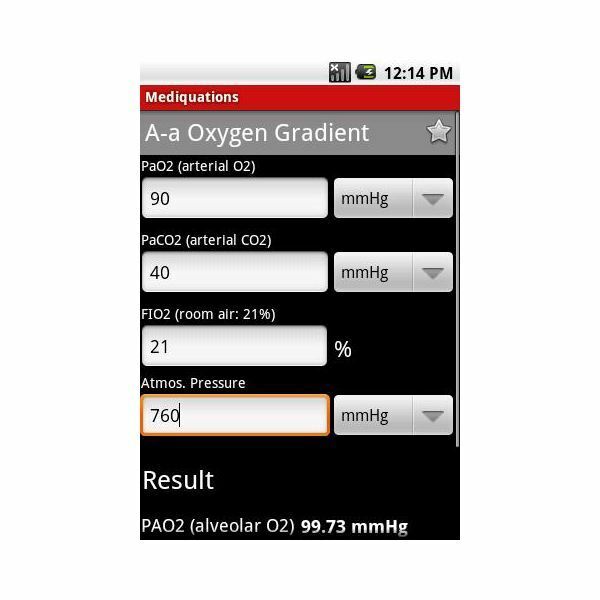 Mediquation Medical Calculator brings over 227 medical calculations and scoring tools to the Android platform. The focus of the developers is on interface, and they have designed an intuitive app geared towards effective patient care. Mediquation costs $4.99, and it can be found through the Mediquations, Inc. website. 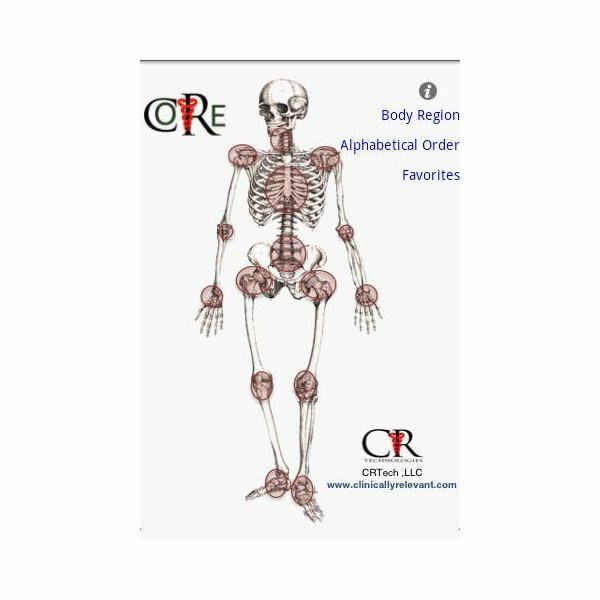 A must for the mobile orthopaedic doctor or medical student. This comprehensive reference from Clinically Relevant Technologies is like a textbook in your pocket. It provides nearly 250 clinical tests for musculoskeletal orthopaedic physical exams and differential diagnosis. 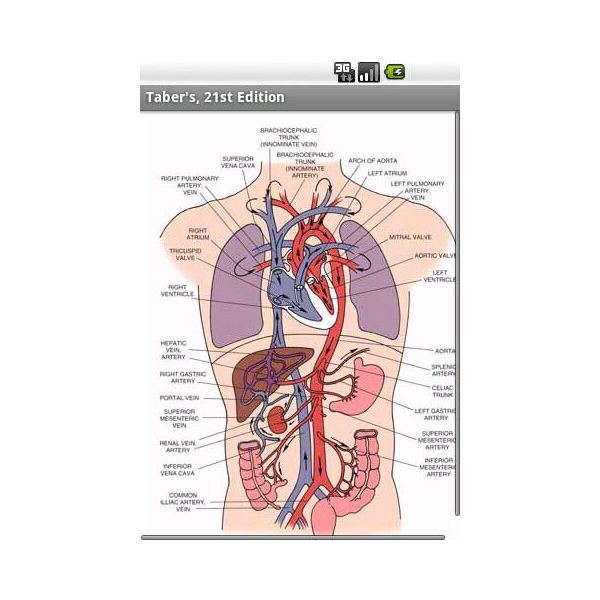 The app includes illustrations, descriptions, videos, diagnostic properties, and PUBMed links for all tests. CORE-Clinical Orthopaedic Exam costs $39.99, and it can be found through the Clinically Relevant Technologies website.